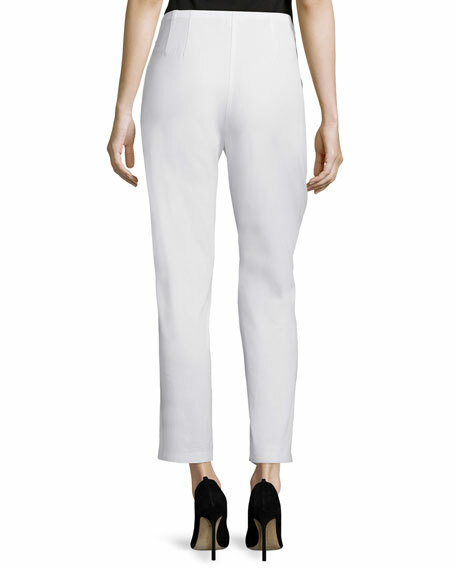 Eileen Fisher polished, two-way stretch twill pants in your choice of color. Approx. measurements: 11" rise; 27" inseam; 37" outseam; 14" leg opening. Regular rise with narrow elastic waist. Smooth, sleek fit created by pull-on waist with invisible side zip. Straight legs with 2" slits at the ankle for ease. For in-store inquiries, use sku #2092235.